Xperia E3 is another Entry level Smartphone from the Sony. Company doesn't include any eye-catching features in budget phone. These "E" series handset are launched for those Sony fan who can't a afford a flagship phone. If we come to specs phone has v4.4.2 (KitKat) OS, 4.5 inch display, 5 MP primary camera and VGA (.3MP) front camera, Qualcomm MSM8226-2 Snapdragon 400 processor, 4 GB internal memory although memory can be expended up to 32GB, 1 GB RAM and 2330 mAh battery. The Phone form OmniBalance design that was introduced in the Xperia Z to make Smartphone look better from all angles and it is plastic build with nylon corner. 5 MP camera is not so impressive although it is quite OK in sufficient lightning. The snapdragon 400 with 1 GB RAM is enough to run most of the popular applications but unable to play Graphic intesive games like Asphalt 8. It has 2330 mAh Battery runs more than 24 Hours for a moderate user. It has "Stamina" mode and power saving mode enhances battery backup. Great music quality in earphones; sound is very clear. Nice build quality bright display produces good clarity from wide viewing angles. It has Near field communication (NFC) enable Smartphone to establish radio communication with each other by bringing them into proximity distance of 10 cm or less. It has only 1.7 GB internal memory to install apps. When you call from one SIM other SIM goes on disable mode. No LED Notification and no inbuilt video calling feature. Settings> home> select simple home and after some time select Xperia home. Press that button with pin gently your mobile will be restart. Press power button and volume up key simultaneously for 10 seconds or until it vibrate, It will be restarted automatically. 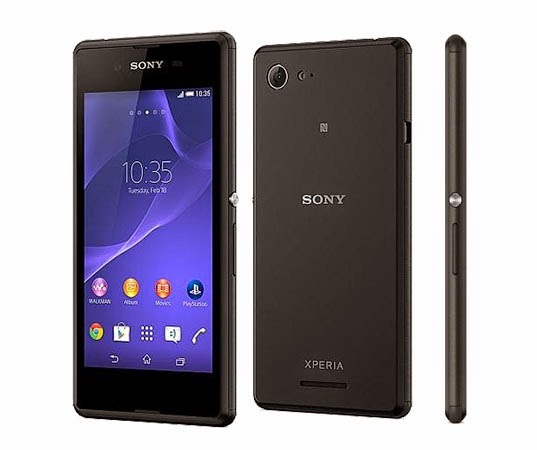 Good budget phone for the people wish to buy 10 k rupees Smartphone from Sony with good music quality. Not recommended for the people installing lot of application in the Smartphone. Not recommended for the people wish to take good quality selfie, it has only 0.3 MP (VGA) front camera.